Chlorinated polyethylene membrane is our main product which is a kind of white solid powder by low voltage density polyethylene. It is the main PVC impact modifier with double performance of the plastic and rubber. This product has good weatherability, oil resistance, ozone resistance, flame resistance and good histocompatibility with varied plastics and rubber. 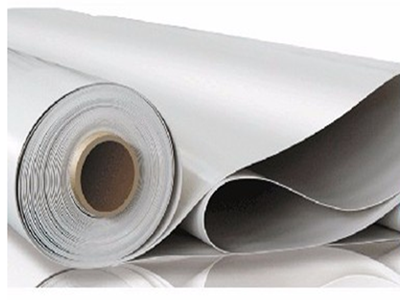 It can effectively improve toughness and impact resistance and anti-aging of rigid PVC products, to increase the melting point of PVC.We J.S.Brown can supply many kinds of membranes such as white SBS waterproof materials,black CPE waterproof materials and so on. 1:As a superior and cost-effective impact modifier,CPE is widely used in various rigid plastic products such as plastic profiles,pipes,fittings and sheets,and it uesd in production of external wall sidings and anti-corrosive and moisture -proof thin wall boards. 2:Flame Retardant ABS :CPE itself is a type of flame retardant and it has great adaptability with flame retardant used ,increase the filling capacity while not decrease the impact resistance of flame retardant products. Looking for ideal Chlorinated Polyethylene Waterproof Membranes Manufacturer & supplier ? We have a wide selection at great prices to help you get creative. All the White SBS Waterproof Materials are quality guaranteed. We are China Origin Factory of Black CPE Waterproof Materials. If you have any question, please feel free to contact us.